Below are links to a variety of web sites that you may find helpful. If you have suggestions for other web links to include, please send us your recommendations. This comprehensive web site allows you to read the latest news and advisory statements from the FCC, file a consumer complaint and research a wide range of communication topics. This site provides National foundation-level geospatial data within the open public domain that can be useful to support communituy preparedness, resiliency, research, and more. The Universal Licensing System (ULS) web site provides online answers to your wireless licensing and research needs. ULS is an information tool that enables you to research applications, licenses, and antenna structures. 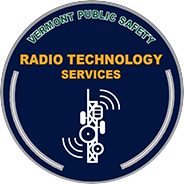 The VSP is a full-service law enforcement agency that provides primary law enforcement services to approximately 200 towns, 90 percent of the land mass and 50 percent of the population in Vermont.